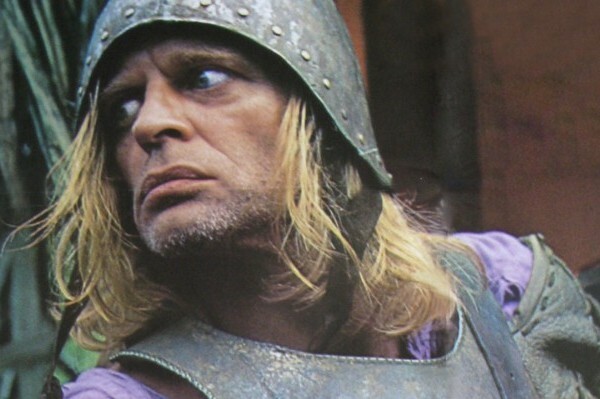 Aguirre, The Wrath of God starring Klaus Kinski is one of the films in the Herzog/Shout! Factory agreement. Shout! Factory and Werner Herzog Film GMBH have announced an exclusive, multi-picture alliance for 16 Werner Herzog film titles, all of which are currently being re-mastered in high-definition for new edition releases in North America. This multi-year alliance provides Shout! Factory extensive rights for the films, including digital distribution, home video and broadcast for cross-platform releases. The titles include Fitzcarraldo, Aguirre: The Wrath of God, Nosferatu the Vampyre, The Enigma of Kaspar Hauser, Woyzeck, Heart of Glass, Cobra Verde, Stroszek, Fata Morgana, Little Dieter Needs to Fly, Lessons of Darkness, Ballad of the Little Soldier, Land of Silence and Darkness, as well as several other acclaimed titles. Shout! Factory plans an aggressive rollout of these movies through physical home entertainment releases and a variety of digital entertainment distribution platforms. The label and the filmmaker will announce additional news on specific release dates later this year. “I am very proud to start this new collaboration with Shout! Factory and, given the outstanding reputation of [Shout! Factory executives] Richard Foos, Bob Emmer and Garson Foos, I am confident that our joint efforts to bring my films to the North American public again in brand new HD quality will be hugely satisfying and rewarding,” declared Herzog upon the announcement of the deal. What does this mean for fans? Well, how’s this: Kinski on Blu-ray.